Area 8 doesn't have much birds there's a few but not many. Plus there was talk of them doing brush control in area 8. Idk if they have done yet or not. Area 9 is loaded with birds. I never saw them while on stand but would see them almost every time I would drive out there. I'm not a turkey hunter but I would think it would be fairly easy to locate birds in area 9. You could also camp at spring creek and literally set up your tent right outside of the area to hunt. If camping is open yet I'm not sure when they open camping up or how much it is. If camping is open that's where I would camp. 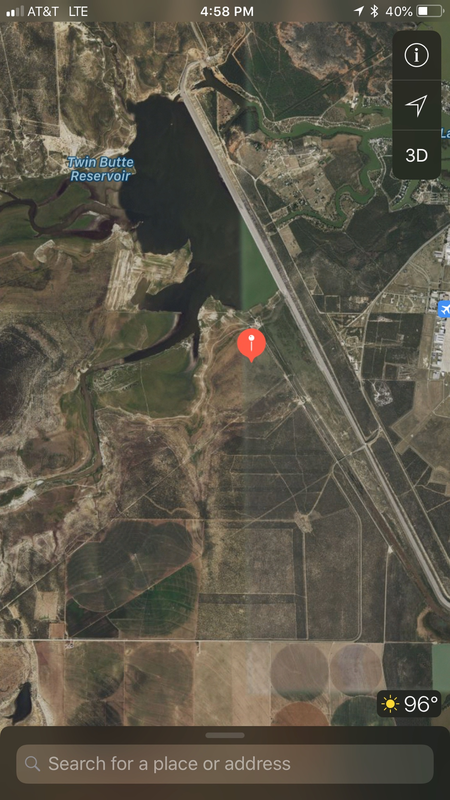 You would be really really close to the hunt area. I know during summer people tent camp right outside the boundary of the area like 20 yards off the boundary. I plan to hunt this weekend. I'v never been to the Butte so looking forward to meeting lots of fellow hunters and few turkeys lol. I will be turkey hunting in Menard soon so won’t be at Twin Buttes for turkey season. But, I just turned in a time off request for the week after Thanksgiving to go back and deer hunt again. I had a good time hunting in 9 last year and have a couple good spots now. Hunt In: Realtree APG only! Good to hear you gonna give it a go!! Carolina Man how goes it??? Any beards on the dirt yet?? How they talking?? Responding to anything? I typically hunt turkeys all over the country it is truly my passion but never in Texas. Most of my birds come off public land and that is few and far between in Texas. If there are birds there I will get after em. Hey JD I've hunted that area back in the corner of 3/4 for deer and always went in on quad off of 67 and 2166 I think. This time for turkey I don't have access to a quad, is there an easier way to get a full size truck back there close so it doesn't get beat up? So far no luck. Not even a gobble. I did see a Tom briefly on the road back to Spring creek but no shot. I have been all over 3 and 4. I'm sure there are birds there but they are not responding to calls. I met a guy who has killed one up near 6 best I could tell by his description of the place. He said the ones he has seen have been henned up with 40 to 50 hens. He also said they are not being very vocal. I haven't seen a single hen. I'm still trying my luck but I have to leave Thursday so time is getting short. Last edited by Carolina guy; 04-03-2018 at 04:49 PM. Thanks a lot, I appreciate it. I may be coming out this weekend to try my luck with the turkeys. Anyone hunting or seeing turkeys? Hunted hard today in unit 5 until about 9:30 then 4 and 3 the rest of the day very low turkey population it seems in those areas the weather was not ideal for hearing them but I put lots of miles in while doing some blind set up very little turkey sign and no gobbling. 4/3 is where I saw LOTS of turkey during deer season in Nov and Dec...they would come right into our blind in groups of 30-40. I hope you see some back there. There summer and winter ranges must be different talked to several hunters and same story most have been there several days and not many turkey to speak of. We struck out. Not a single gobble, track or anything all week. Saw a Tom running up the side of the hard road going into 4 but zilch on the property. Good luck guys. I spend a considerable amount of my time in the spring hunting turkeys and like to think I understand the animal well. 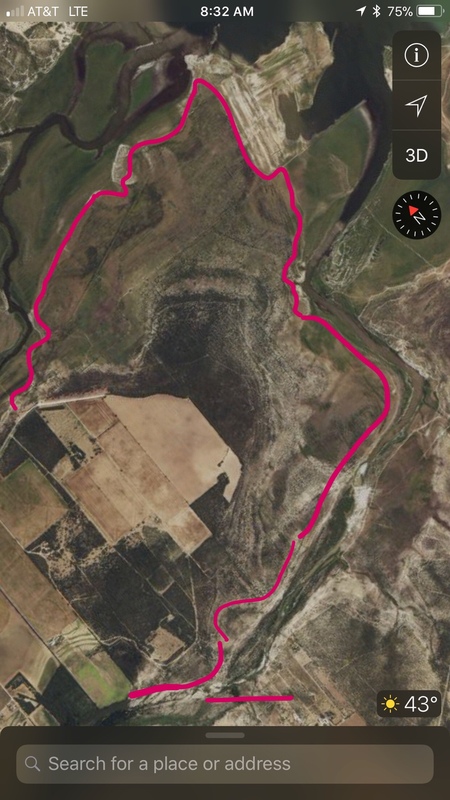 My very short time spent in the area over the weekend leads me to hypothesize the number of off road trails and access to these does not lend itself to turkeys feeling comfortable in the area. If I could offer any piece of advice to the local land managers it would be to look into at is their a way we can limit areas for off rode traffic when you have areas with ideal roosting habitat and off road vehicle roads heavily used through the entire area turkeys simply wont put up with it. I'm all for multiple use of public lands but potentially look at habit and keep the areas with better wildlife habitat for wildlife. We as public land turkey hunters in Texas are very VERY limited with options as it is. Timely post as yesterday I met with the Bureau of Reclamation (BOR) about our travel management plan. The U.S. Forest Service has been hired by the BOR to clear archaeological/cultural sites and okay and/or nix roads in certain areas. We are close to wrapping this part of the plan up but must still receive concurrence with the State Historic Preservation Office (SHPO)....it's quite the process. That said, we've identified nearly 200 miles of roads within in Twin Buttes, which is too many for an area of its size. Many of the roads lead to the same destination, so they are in essence redundant. Many are there due to fluctuating water levels. Ideally we'd like to reduce these roads to about half of what they are now so habitat will recover, while also preserving areas where our Off Highway Vehicle (OHV) crowds can still enjoy their activities. There will likely be a public hearing on the travel management plan in mid to late summer, but we are still a ways off from reaching an end goal. Once roads/trails are approved through this process, we have to get road/trail signs in place, disseminate the information to the public via maps, and hopefully GPS trail data that can be downloaded to smart phones. This will be followed by a short education period and then our law enforcement can begin to enforce rules that apply to the travel management plan. As you can see, this does not happen overnight. On another note, we just awarded a bid to plant sunflower fields in two areas for dove hunting and bids for some brush sculpting to improve habitat in areas 5 and 8 went out yesterday. 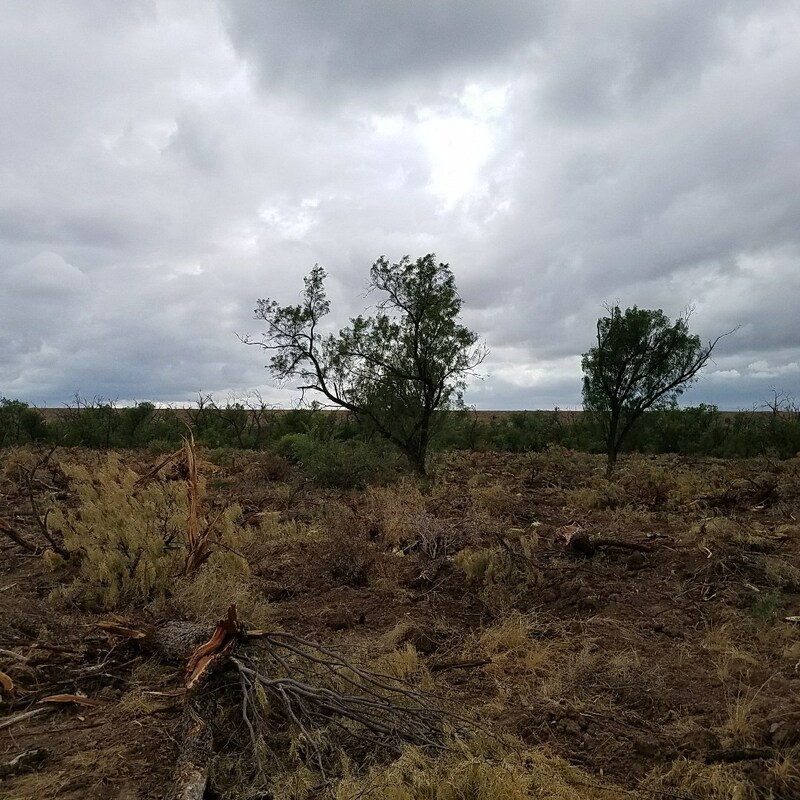 You will likely see some piles of brush for a while, but eventually these will be burned once we have clearance for some controlled burns where we'll get the biggest return on habitat improvement. Thank you for this information I appreciate the insight and response. I enjoyed my time out there this weekend and believe this land has great potential plenty of diverse habitat. 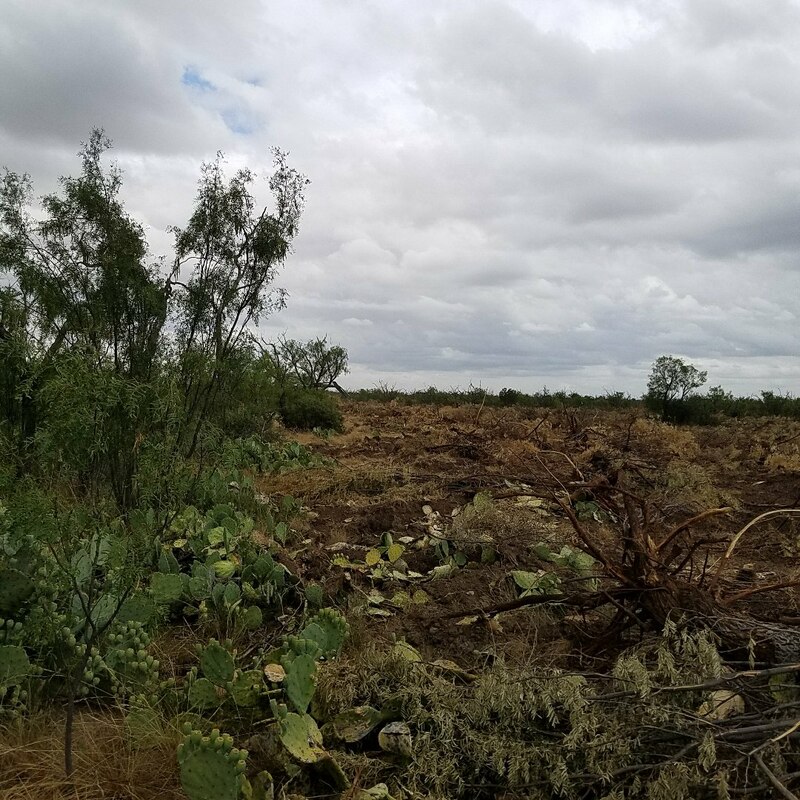 The future of hunting depends on public land and quality access and opportunity for the majority Texas unfortunately or fortunately has a lot of opportunity to improve and expand these accesses. I hope to be part of the future of quality public land experiences for hunters in Texas and around the US. That will be great. In the past at other public lands I've had trouble with the OHV crowd during hunting season. At Fort Hood there was a lot of issues with the wanta-be moto cross people. Good news to hear, thanks for posting! A few quick updates on TBR. First, we are still moving forward on the travel management plan with intentions of having a public hearing sometime in late summer or early fall to discuss proposals. 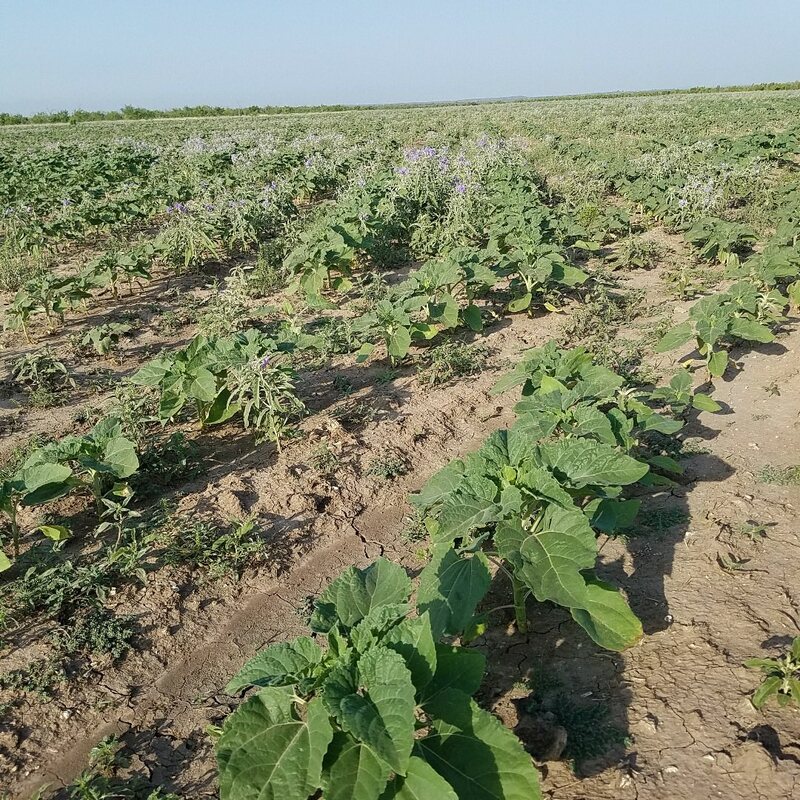 Secondly, sunflower fields have been planted for dove hunting but they are in desperate need of a drink. The triple digit days earlier in June really scorched the leaves so pray that we get the much needed rain. Third, our habitat project (experimental) is underway in Area 8 (see pictures below). 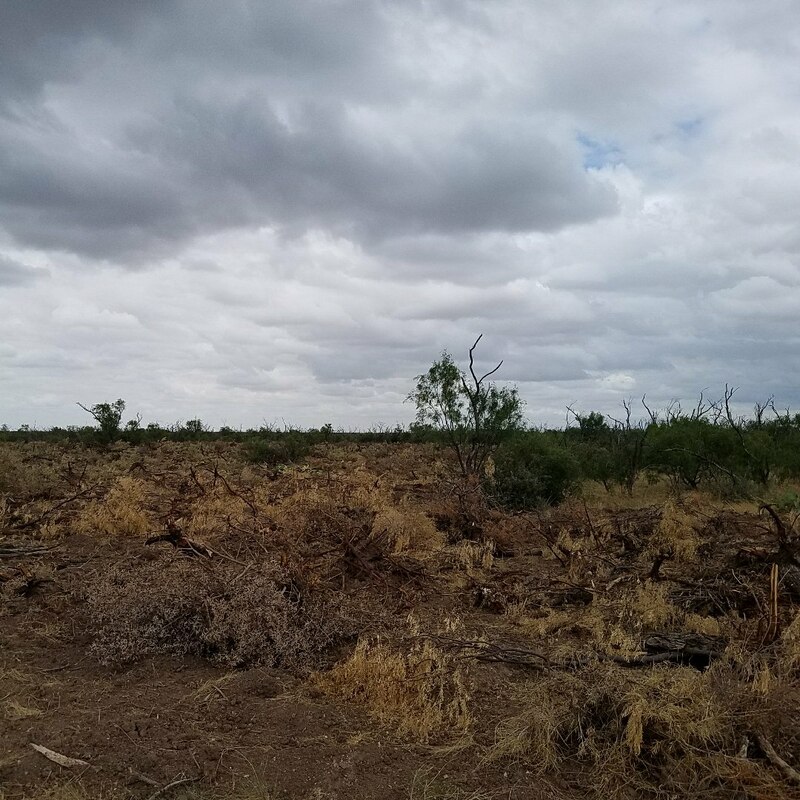 According to our biologist, the selective brush clearing along with significant soil disturbance should produce a host of desirable food sources, especially if we receive some moisture. In three years, we expect there to be a measurable difference out there. Obviously from the pictures you'll see that the place looks rough...it is, and if you harvest a deer from the area you'll earn it in the process of getting it out of there, but it makes it that much sweeter at the dinner table. That said, the project is improving habitat for a variety of species (deer, turkey, etc.) which include one of our species of greatest concern...the mighty Texas Horned Lizard. I know we don't hunt the littler buggers but they are fun to watch and even photograph if given the opportunity and surprisingly this project improves their habitat as well. I need to give a sincere thanks to our biologist, John McEachern who has developed the plan and closely monitored its progress. 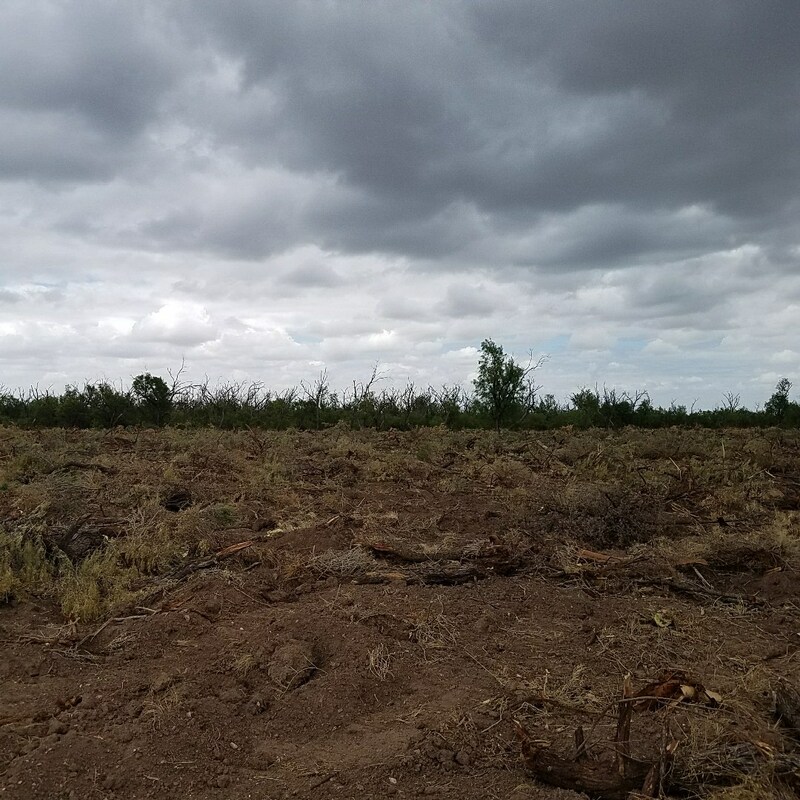 I would also be remiss if I didn't mention our partnership with Gene Miller of the National Wild Turkey Federation who has worked side by side with us on the dove fields and these habitat projects. He and John have been an absolute pleasure to work with. If you ever have the opportunity to support the NWTF please do; they do so much to benefit all wildlife. Originally we had planned to kick off some of the same type brush clearing in area 5, but it's taken longer than planned in area 8 which has caused us to run out of funds for this year. Our hope is to secure more in the future to continue the progress. The money you contribute to the APH program is being used at the local level and I hope all of you see the future benefits. Lastly, due to the demands of TBR we've secured a third Game Warden position for Tom Green County. Hallie Rodriquez will be joining Cynde Aguilar and David Hopkins in late July and we hope the increased LE presence will aide the project goals. I'll try to shoot all of you another update just prior to the dove opener. We are holding a clean-up on Saturday, August 4th from 9 AM to 1 PM at Twin Buttes Reservoir. Brandon Pilcik contacted me late last month and wanted to tackle this project before the hunting season started, and I'm never gonna' turn down a volunteer clean-up so we're rolling with it. We know this is short notice but if you are able to pitch in even for an hour we'd greatly appreciate the help. Several various groups are turning out and we'd love to get more hunter involvement. Currently, Ducks Unlimited and Backcountry Hunters and Anglers have committed to sending out some members. Our friends from the San Angelo Dirt Riders Association, Misfit Jeepers, and the Off Road Coalition have pledged to help out as well. There will be dumpsters and cleaning supplies at both locations. The plan is to meet at the 2 locations simultaneously and get to work by 9. The Dirt Riders will be cooking a lunch to be ready when we wrap things up at the Area 7 Dumpster location. The following groups will meet at the two separate locations first thing in the morning. Matt Hodges (Owner of West Texas Off Road) has pledged $100 to donate towards food. Brandon filled out and dropped off a community involvement donation request form at HEB in San Angelo yesterday, asking for a reduced rate on enough burgers, buns and cheese slices to feed 100 people, in addition to some HEB branded “swag”. He'll make contact by the end of the week if I haven’t heard back by then. Luke Jones from Mitchell Buick said he would make a contribution as well. We'll also going to try to get the word out via local media (TV/Radio) and some outdoors/hunting related social media. I want to extend a very sincere thanks to Brandon Pilcik for undertaking this clean-up. He, along with our off road groups and all the volunteers, make this project all the more meaningful. Thank you all in advance! Has there been any change to the bag limit on deer on TBR? I can’t seem to post pics but took a younger buck last season and took a good Tom during spring season. Saw a bunch of turkey all year but never got a shot till spring. Love TBR. Anybody know of somebody that might be interested in some really old duck decoys. I’m talking at least 40 years old? Someone was in the river bottom of Area 5 within the past 7 days Besides me... looked like maybe a size 8-9.5 boot print.... got a cool picture and some pointers for you if you pm me and plan on doing some hunting. Bag limit is 1 buck and 1 doe, all seasons combined. Curious of this cool pic. 1 and 1 is the limit from last year. Wondering if it will change this year. Where are said sunflower fields? I drove into area 6 off Boys Ranch Rd last weekend. brush is pretty thick out there. Maybe didn't go far enough. Fields are here... pretty lame wonder how many people are going to get shot this year... area 6 is nearly impossible to drive into, i positive you mean area 4.... the fields are in area 3 close to the Dam so everyone and their elbow can get to them. You are correct I was in area 4. Looked at the map wrong. My usual dove field is planted in cotton this year so I was looking for a different place. Probably just end up going to SASP and grinding it out. TGW- why is the limit on TBR still one and one? The numbers I see out there suggest a significantly higher population. Hello, Did anyone go out yesterday? Just wondering how muddy it is out there after all the rain. I don't have a 4wd. Our census (helicopter survey) does not reflect the ability to increase the harvest at this time, which is one of the reasons we've started doing the habitat improvements; see area 8 and we are looking to do area 5 this coming year if possible. I still cant figure out how to post pics on here. I need help with this whole pic url thing. if anybody can help me just message me. I just pulled card and found deer and turkey and a pair of pigs. Yay, I have never gotten a wild pig. Heres hoping on seeing them after sept 29th. Thanks brother. Is a pvc tube to keep corn dry considered a feeder? Would it be considered against the rules or TBR? I just got my book for public grounds and it says that there is a season for hogs on TBR. I thought there was no season on hogs. Why the difference.? There has been the past few years there. Tbr has it’s own laws and seasons. There is a season for hogs on TBR due to the fact that the land is being managed for multi-use; not just hunting.